Freedom in capitalist society always remains about the same as it was in the ancient Greek republics: freedom for the slave-owners. The oppressed are allowed once every few years to decide which particular representatives of the oppressing class shall represent and repress them in parliament. The first time I was put in prison, it was just like dying. . . I met Marx, Lenin, Trotsky, Engels, and Mao when I entered prison and they redeemed me. By Fred Goldstein posted on December 4, 2018. 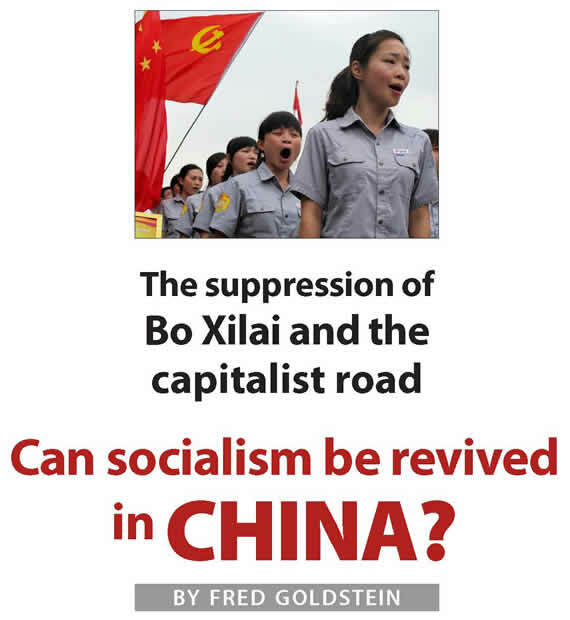 The following is the first part of an exchange between Fred Goldstein and Manuel Raposo, a left-wing Portuguese communist and editor of the web magazine Mudar de Vida (jornalmudardevida.net). Fred Goldstein: Your question goes to the heart of a very important issue. Is the Donald Trump presidency a temporary phenomenon, or is his regime a symptom of a deeper malady in the organism of imperialism? Will things go back to “normal” once he is gone? I have been thinking about this very question a lot. I have also been trying to arrive at a method by which to answer it. First, I put the Trump victory in the context of the rise of political reaction in Europe and its decidedly anti-immigrant, racist emphasis, similar to Trump’s. It cannot just be coincidental that the AfD in Germany, the Freedom Party in Austria, the Viktor Orbán regime in Hungary, the right-wing government in Poland, the Brexit forces in Britain, the new right-wing coalition in Italy, the National Rally (formerly National Front) in France are all on the rise at the same time. We also see the recent gains by the anti-immigrant Sweden Democratic Party, the rise of Golden Dawn in Greece (an advanced version of Hitler-like forces) and other right-wing political manifestations in Europe. Second, I think that the general crisis of protracted capitalist stagnation has caused sections of the ruling class on both sides of the Atlantic to move toward adopting a strongly reactionary option: They will use “divide and conquer” because they see no way out of their own crisis — that is, they do not see any significant renewed growth or revived capitalist prosperity in the future. They are all struggling to just stay afloat. This is true for sections of the U.S. ruling class which have relied on tax cuts, deregulation of environmental protections and stock market speculation to bolster their profits. This class is acting like its situation is precarious and its members anticipate an economic collapse. Third, the working classes in all the European countries, like the workers and the oppressed in the U.S., have all been subjected to the trauma of austerity early on, BEFORE the immigrant crisis struck Europe in full force. In the U.S. there is no large influx of immigrants. In fact, there is a net outflow of migrants on the militarized southern border now. I think that the demoralized, alienated sections of the petty bourgeoisie and working class were predisposed to shift to the right after the failure of the Democratic Party and of European social democracy to come to their aid during the economic crisis of 2008, BEFORE the immigrant crisis. The failure of social democracy and the historical communist parties to take an aggressive, class-conscious, class-struggle approach to fighting austerity left the masses open to a right-wing, anti-immigrant appeal. Fourth, the right wing of the ruling classes — which are growing stronger and richer — are tempted to stoke the flames of anti-immigrant racism or are growing more comfortable with it. They mildly protest the more extreme anti-immigrant measures, but in the end the bosses are only truly concerned with the availability of a labor force and the impact of immigration policy on their international relations. 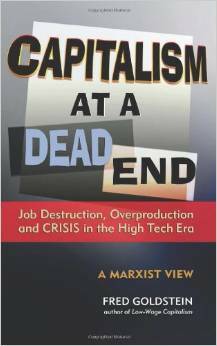 Finally, capitalism at a dead end forecloses the possibility of reviving capitalist prosperity. And capitalist democracy depends upon imperialist prosperity. 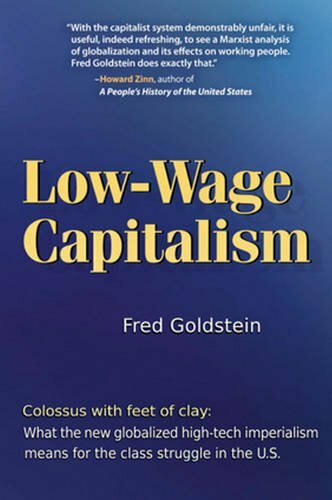 The bosses in the wealthy imperialist countries were able to afford a more developed form of capitalist democracy in the post-World War II period — that is, to buy off the discontented workers with crumbs. The British imperialists were able to have their “democracy” when they had a world empire. Once the empire was lost, the British working class was subjected to Thatcherite austerity and now they have the Brexit forces in charge. The French imperialists had their republics based upon having a lesser empire in Southeast Asia, Africa and the Caribbean. Now they have the growing right-wing orientation of President Emmanuel Macron, with the National Rally party breathing down the necks of the so-called “moderate” bourgeoisie. And U.S. imperialism constructed a bourgeois democracy on the basis of having established itself as a world power during and after World War I and having taken over large parts of the British and the French empires out of the ashes of WWII. The bosses attained world imperialist supremacy. On that basis they were able to make concessions. While Wall Street and the Pentagon are still the dominant imperialist power, they cannot revive imperialist prosperity, which is the economic foundation of capitalist democracy. This is the fundamental point about the future after Trump. Capitalist democracy requires imperialist prosperity to finance it. Capitalist democracy in its more vigorous sense must be funded by concessions. This is true not only in the oppressed countries, but also in the big capitalist countries. The Trump regime may be a distorted form of capitalist reaction, peculiarly shaped by Trump’s style and personality. But whatever the peculiarities of the Trump regime — and there are many — the underlying reaction that he has stoked and consolidated is not going away anytime soon. The reaction may be slowed down somewhat if the ruling class removes him. There may be a temporary respite if he is driven out or defeated at the polls. But in the long run, capitalism is in a stage of decline, stagnation and austerity. The only thing that can push back the reaction in the U.S. is the awakening of the proletariat and the oppressed. No one knows when this will happen or how it will develop. But then no one knew that the tremendous teachers’ strikes were coming. These strikes spread like a wildfire from West Virginia to Kentucky, to Oklahoma, to Arizona, to Colorado, to North Carolina. These strikes took everyone by surprise — the ruling class, the labor bureaucracy, the educational establishment — and the educational workers, who were organized despite the resistance of the government and the union leadership. All the strikes were technically illegal, but the ruling class wisely decided not to enforce the law. This showed in a microcosm what the working class is capable of when pushed to the wall. The teachers’ struggle has died down for now. But the resentment, the poverty and privation that drove it to burst the bounds of bourgeois legality and conventional subservience to the higher-ups is spreading below. Marxism has nothing in common with economic determinism. It recognizes that many factors affect political outcomes. Leaders, parties, financial institutions, historical and cultural traditions, natural disasters, etc., all must be taken into consideration. In the long run, however, Marxism regards the economic factor as the dominant factor. The crisis of capitalist austerity is determining the growth of political reaction, and this reaction must be fought tooth and nail by the workers and the oppressed. History is made by the inevitable awakening of the masses. This is the hope to turn things around. By Fred Goldstein posted on September 4, 2018. Anti-fascists confront racist march in Chemnitz, Germany, Sept. 1. Sept. 1 — To many progressives among the population, Donald Trump appears to be on the ropes. They are waiting for the establishment to take him down. There is great anticipation that the Democratic Party will make electoral gains and get the chance to further discredit him. There is the mounting public evidence of Trump’s corruption. Many in his inner circle have pleaded guilty or been convicted of lying, money laundering, tax and/or bank fraud. There is his growing anxious rage expressed in his tweets against the Mueller investigation. There is also his isolation from ruling-class society as illustrated by his exclusion from the week-long and highly publicized, super-patriotic, militaristic funeral ceremonies for John McCain. But the fascist march in Charlottesville, Va., in August 2017 and the recent fascist anti-im/migrant riot in Chemnitz, Germany, show how illusory this view is that the defeat of Trump will solve the problem of racist reaction. No one knows at this point how the struggle between Trump and his allies, on the one hand, and the anti-Trump forces in the ruling class on the other, will turn out. But it would be fatal for progressives and revolutionaries to rely on the reactionary ruling class to defeat Trump. Moreover, while the political defeat of Trump is important, it will not be fundamental because it will not deal with the racist, misogynist, xenophobic, national chauvinist forces that Trump has conjured up and consolidated into a reactionary base. This base is not going to go away, whatever happens to Trump. The workers and the oppressed will still have to deal with this reactionary mass. What will be needed in the future is to defeat Trumpism, not just at the polls but on the ground. The world got a glimpse of the forces emerging around Trump at Charlottesville last year when the Klan and the Nazis united with other fascist forces in the “Unite the Right” armed torchlight parade through the University of Virginia campus in defense of a statue of Robert E. Lee, commanding general of the slavocracy during the Civil War. Fortunately, the movement recovered from this assault and forced the removal of Confederate statues in many cities, from Louisiana to Texas. The Unite the Right forces received an important blow when the movement toppled a Confederate statue in Durham, N.C.
Because of the militant resistance, the “Unite the Right 2” rally in Washington, D.C. on the one-year anniversary of Charlottesville this Aug. 10 fell flat. However, the degree to which the racist, pro-Confederate forces in the ruling class are dug in was shown by the reaction of the University of North Carolina administration to the recent pulling down of a Confederate statue in Chapel Hill, N.C. The statue of a Confederate soldier was pulled down by students after their campaign to have the authorities remove it went nowhere. After it was pulled down, the university and the board of governors decided it should be relocated on campus. Meanwhile, arrest warrants were issued for student demonstrators. This incident illustrates how deeply embedded pro-Confederate sympathy is in the ruling class 150 years after the Civil War. Chapel Hill is supposed to be a liberal institution. States all over the South and elsewhere have passed laws forbidding the removal of a statue without the express consent of the state historical society, regardless of the sentiment of African Americans or progressive anti-racist sectors of the population. Liberal Ivy League colleges and universities in the North have refused to budge on this matter as well. Racism and the face of fascism in the U.S. The origin of this underlying racism which penetrates U.S. capitalist society goes back to the betrayal of the enslaved people after the Civil War by the victorious capitalist class of the North. The Northern armies occupied the Southern slave states. There was a period of Reconstruction from 1865 to 1877. Voting rights were granted for formerly enslaved peoples. Many African Americans were elected to various state and local offices. During the brief period of Reconstruction, a Freedmen’s Bureau was created and land ownership rights and other rights for African Americans, such as the right to sue, to serve on a jury, etc., were enforced by the U.S. military occupation forces. This period of Reconstruction was ended abruptly in 1877 with the withdrawal of U.S. forces after the Hayes-Tilden Compromise, in which Rutherford B. Hayes was given the presidency in return for troop withdrawal from the South. The political dominance of the South by the former slavocracy was restored. The formerly enslaved were resubjugated and pressed into a form of feudalism or land slavery called sharecropping. Lynching ran riot. Rigid racist segregation was enforced. The landowners once again ran the South and did so for 100 years. There was no attempt by the Northern capitalist class to purge the South of racism and racist officials. There was no reeducation campaign among the white population. No resources were devoted to the anti-racist transformation of the South. The capitalists of the North were quite content to build railroads and shipping lines and to create banks to profit from the land slavery of African Americans. Racism was not only enforced in the South with Ku Klux Klan violence and lynchings, Black Codes, Jim Crow segregation, poll taxes, etc., but it also prevailed in the North. Fascists, right wingers, and anti-immigrant racists of all sorts have been mobilized in this country by Donald Trump. He has fomented his anti-immigrant racism on a world stage. This anti-immigrant, right-wing trend has been reflected in Europe among fascist and pro-fascist forces as well. Indeed, Trump sounds much like the European right. On Aug. 28, the world was treated to the ugly spectacle of a mob of thousands of Nazis and anti-immigrant sympathizers arriving from all over Germany and taking over the streets of the German city of Chemnitz and hunting down immigrants “like wolves,” as the New York Times put it on Aug. 31. The mob formed after the capitalist press triggered the event with the headline “35-Year-Old Dies after Stabbing in the City.” The rumors were that the man who was stabbed was protecting a woman from sexual assault by immigrants. Even the police had to eventually declare that rumor false. Chemnitz was formerly called Karl-Marx-Stadt during the period of the German Democratic Republic, before the Berlin Wall came down in 1989 and capitalism was restored as West Germany annexed the East in 1990. It is the third-largest city in the southeastern state of Saxony with a population of 250,000. After the Red Army occupied eastern Germany in 1945, the Communist Party was merged with the Social Democratic Party to become the Socialist Unity Party. In 1949 the GDR was established following the establishment of West Germany. The new government undertook a vigorous program of denazification, unlike what occurred in capitalist West Germany, or the Federal Republic. In the capitalist West, high Nazi officials retained their pensions and got official jobs. “A total of 25 cabinet ministers, one president and one chancellor of the Federal Republic of Germany — as postwar Germany is officially known — had been members of Nazi organizations.” (Der Spiegel, March 6, 2012) This list was finally forced into the public by the Left Party. The GDR, under socialist leadership, took an entirely opposite approach. It was undoubtedly very difficult to construct a state and a society with a population that had lived under Hitler for 12 years. Nevertheless, the attempt was made. For example, Bruno Bruni de la Motte, no socialist himself, wrote in the London Guardian on March 8, 2007: “I was born and grew up in the German Democratic Republic. Our school books dealt extensively with the Nazi period and what it did to the German nation and most of Europe. “During the course of their schooling, all pupils were taken at least once to a concentration camp, where a former inmate would explain in graphic detail what took place. All concentration camps in the former GDR were maintained as commemorative places, ‘so that no one should forget.’ The government itself included a good proportion of those, including Jews, who had been forced to flee Hitler fascism or who had been interned. The fall of the Berlin Wall and the return to capitalism brought a quick shift. From the very outset there were demonstrations against immigrants. Naziism and right-wing politics resurfaced in the form of anti-immigrant racism and xenophobia. It is no surprise that 29 years after the restoration of capitalist exploitation and with the creeping world economic crisis hitting Germany, including the youth and the petty bourgeoisie, the neo-fascist movement should take on the tone of a racist, anti-immigrant crusade. In the U.S, even more than in Europe, racism in one form or another has always been the cutting edge of fascism and the face of political reaction. It is no accident that the KKK and Nazis rallied around Barry Goldwater in his run for president in 1964. It is no accident that Richard Nixon started his presidential campaign in 1972 with a racist “Southern strategy” to bring Southern Democrats into the Republican Party in the wake of the Civil Rights movement. It should also be noted that in 1982 Ronald Reagan began his presidential campaign in Philadelphia, Miss., with Confederate flags flying — in a city where three civil rights workers had been murdered in 1964 by the Klan during the voting rights campaign in the South. And Bill Clinton, besides passing racist legislation on mass incarceration, the death penalty and “terrorism,” during his election campaign showed his racism by going back to his state of Arkansas to witness the execution of a mentally disabled Black man. Right now ICE and the Border Patrol are carrying out fascist measures against immigrants by deliberately separating families, as well as rounding up workers everywhere. So the capitalist class has now had 150 years to root out racism and has not made any serious effort to do so. The capitalists have shown that they feel it is in their class interests to perpetuate racism. They never instituted a thoroughgoing anti-racist educational campaign of making every student in school go to photo exhibits of lynchings to be narrated by families or neighbors of victims. Slave quarters were not preserved as exhibits for mandatory visits so no one would ever forget. And importantly, compensation was not paid to the victims of slavery nor were they given the lands of the plantation owners for whom they labored. In short the capitalist ruling class has always preserved racism rather than destroy it, just as the German ruling class has never made a determined effort to root out Nazism. The revolutionary forces in the U.S. must organize for struggle against the revived, concentrated racist base that has been fostered by Trump. The progressives, revolutionaries and advanced workers must also be prepared for struggle after Trump, because anti-immigrant and anti-Black racism is a lethal weapon the bosses keep in reserve for times of crisis. Donald Trump ha sufrido una serie de golpes por las fuerzas anti Trump en la clase dominante y el establecimiento legal. Esto sin duda ha alentado a las fuerzas progresistas y revolucionarias que legítimamente quieren ver a este Trump reaccionario, autoritario, racista y misógino caer. Los eventos recientes han golpeado a Trump. Su gerente de campaña, Paul Manafort, fue condenado en el juicio por ocho cargos criminales de fraude y evasión fiscal. Su abogado de muchos años y “reparador”, Michael Cohen, se declaró culpable y apuntó con el dedo a Trump por violaciones de la ley de campaña. Estos acontecimientos llegaron el mismo día. Al día siguiente se reveló que el presidente ejecutivo del National Enquirer, David Pecker, que operaba una hoja de escándalo pro Trump, había recibido inmunidad para hablar sobre cómo trabajó con Michael Cohen para suprimir historias críticas sobre Trump comprandolas y luego no publicarlos. Veinticuatro horas después se reveló que el CFO de la Organización Trump, Allen Weisselberg, también recibió inmunidad para testificar. Weisselberg ha estado a cargo de las finanzas de la Organización Trump desde los días del padre racista y pro nazi de Trump, Fred Trump. El último movimiento para cancelar el viaje de Pompeo a la RPDC es la respuesta de la clase dominante al intento de Trump de realinear la política exterior de EUA en la península de Corea. Finalmente, firmando un tratado de paz con la RPDC – para una guerra que terminó en un punto muerto hace 65 años – es una condición para seguir adelante. Todo el establishment militar y político se opone a esto y finalmente gana, incluso cuando Trump estaba siendo debilitado en los tribunales. La clase dominante ha establecido la línea en lo esencial. Pueden vivir con las atrocidades fascistas de Trump en las fronteras, separando familias inmigrantes. Pueden hacer caso omiso de su apoyo a la brutalidad policial y el asesinato en las comunidades afroamericana y latina. Pueden vivir con sus insultos racistas contra África y Haití. Pero cuando se trata de lo básico, la agresión hacia Rusia y la apertura de relaciones pacíficas en Corea, Wall Street y el Pentágono trazan una línea cerrada. Debe notarse que estos acontecimientos han sido acompañados por un esfuerzo concertado para enterrar cualquier movimiento incipiente para la destitución, que ha sido acelerado por los reveses legales de Trump. En este momento, la clase dominante es cautelosa de avivar un movimiento de destitución. Hay al menos dos razones. En primer lugar, están sacando toneladas de dinero por los beneficios de los recortes tributarios y la desregulación por Trump. El recorte total de un billón de dólares reduce directamente los gastos corporativos y va directamente al resultado final de la empresa. Las ganancias se dispararon durante dos trimestres. Ningún jefe o banquero quiere sacudir ese bote. Segundo, tienen miedo de provocar una rebelión de derecha desde la base de Trump. Escuchan los mítines de Trump, que continúan tal como fueron durante la campaña, a pesar de todas las revelaciones sobre lo que es un racista de mala vida, misógino y fanático, Trump. La burguesía es siempre colaboradora, conciliadora o cobarde frente a la derecha, y esta es una lección que la clase trabajadora siempre debe recordar. Todas las acusaciones, negociación de culpabilidad, inmunidades, exposiciones, etc., ascienden a esto: las fuerzas anti-Trump en la clase dominante están bailando con Trump. En este momento, la clase dominante está tratando de debilitarlo principalmente con ataques legales y publicitarios. Esto puede cambiar en circunstancias futuras como por ejemplo, si la guerra comercial con China se sale de control o algún otro acontecimiento catastrófico amenaza sus intereses capitalistas. Pero, en última instancia, esperan eliminarlo a través del proceso electoral de 2020. El mejor escenario político para las fuerzas anti-Trump en la clase dominante es para que los demócratas ganen la mayoría en la Cámara de Representantes. Esto les dará el poder de convocar audiencias, traer testigos, citar testimonios y documentos, y librar una guerra de relaciones públicas contra Trump, mientras deja abierta la cuestión de la destitución. En la actualidad, las masas enfrentan tres alternativas prácticas para eliminar a Trump: acusación, juicio político o elecciones. Las tres son soluciones de la clase dominante en arenas dominadas por el capital. La izquierda radical y revolucionaria definitivamente crecían, incluso antes de que Trump entrara. Pero dada la relación actual de las fuerzas políticas, y dada la relativa debilidad numérica de los revolucionarios y radicales izquierdistas, estas soluciones de la clase dominante son las únicas vías para eliminar realmente a Trump en este momento. Sin embargo, hay muchas formas de luchar contra Trump y Trumpismo sobre el terreno, como derrocar símbolos racistas, luchar para abolir el Servicio de Inmigración y Aduanas, sitiar los centros de detención de inmigrantes, apoyar la actual huelga de prisioneros, luchar contra la brutalidad policial, defensa de los derechos de las tierras nativas, exigiendo el derecho de las mujeres a la justicia reproductiva y los derechos LGBTQ, manifestaciones en contra de la guerra, etc. Todas estas son luchas justas que pueden estar directamente relacionadas con la lucha contra Trump. Pueden y deben emprenderse. La propaganda y la agitación contra la reacción de Trump son otras vías importantes para ser usadas, especialmente a medida que las elecciones burguesas se acercan. Este es un momento en que las masas están abiertas a escuchar a la política. La izquierda real, la izquierda anticapitalista revolucionaria, puede no ser decisiva en la arena electoral, dada la actual relación de fuerzas. Algunos socialdemócratas, sin embargo, se postulan como candidatos del Partido Demócrata. Es posible que el papel de la izquierda se lleve a cabo mejor mediante una campaña de manifestaciones y propaganda. En algunos estados, o concursos locales más probables, las fuerzas revolucionarias pueden participar en las elecciones sobre una base revolucionaria con fines de propaganda, así como para obtener representación. La propaganda y la agitación durante la campaña actual deben elaborarse con sensibilidad. Deben tener en cuenta los sentimientos anti Trump de los indocumentados que han sufrido medidas fascistas en las fronteras, incluida la separación de las familias de sus hijos. Estas medidas fascistas no se limitan a las fronteras, sino que las lleva a cabo ICE en comunidades de inmigrantes y en lugares de trabajo en todo el país. Esta propaganda debe tener en cuenta la ira en las ciudades y comunidades negras de todo el país contra la policía y el apoyo abierto de Trump para la brutalidad policial y el racismo confederado. Debe reconocer que hay cerca de un millón de destinatarios de DACA (acción diferida para las llegadas de niños) que tienen la amenaza de la deportación colgando sobre sus cabezas. Además, cientos de miles, incluyendo a haitianos, hondureños, salvadoreños, nicaragüenses y otros cuyo Estatus de Protección Temporal ha sido levantado, están esperando la deportación. Teniendo esto en cuenta, se puede diseñar una propaganda anticapitalista y pro-socialista que no solo condena a Trump, sino que también muestra que la salvación no radica en el Partido Demócrata, un partido cuyo liderazgo está inextricablemente ligado a intereses corporativos y militares. Hay mucha discusión y publicidad sobre la creciente popularidad del término “socialismo”. Desde la campaña de Bernie Sanders en el 2016, el término se ha vuelto respetable, particularmente a medida que el capitalismo decae y trae sufrimiento y gran desigualdad a las masas. El término “socialista” recibió un impulso adicional cuando Alexandria Ocasio-Cortez, una activista puertorriqueña, una aliada de Sanders y miembro de los Socialistas Democráticos de América, ganó una primaria contra un entrometido miembro del Partido Demócrata, Joe Crowley, que estaba en línea a ser nombrado presidente de la Cámara después de Nancy Pelosi. Ocasio-Cortez representará un distrito que se extiende por el Bronx y Queens. Mientras su victoria primaria ha inspirado un gran entusiasmo entre los progresistas, también ha creado ilusiones entre muchos jóvenes, especialmente de izquierda, que están en el camino hacia hacerse cargo del Partido Demócrata y presentar un programa para erradicar la desigualdad, ganar atención médica universal, viviendas asequibles, incluso la propiedad estatal de industrias, etc. Estas ilusiones deben ser tratadas con argumentos marxistas, y no deben desdeñarse despectivamente. Por ejemplo, el presidente más progresista del siglo 20, Franklin Roosevelt, sofocó el movimiento independentista en Puerto Rico en la masacre de Ponce de 1934. Roosevelt llevó al imperialismo estadounidense a la Segunda Guerra Mundial, no inicialmente contra los nazis sino contra el imperialismo japonés, y justificó el internamiento de japoneses en los Estados Unidos. Mientras que Roosevelt es bien recordado ahora por el New Deal, que concedió algunos derechos a la clase trabajadora empobrecida en ese momento, en preparación para la guerra, Roosevelt rompió una huelga por los trabajadores la naves aéreas en la costa oeste, hizo alianzas con Dixiecrats del sur, permitió que la segregación permaneciera en su lugar, incluso en el ejército, etc. ¡Y este fue el presidente más progresista del Partido Demócrata! Se enfureció contra los “realistas económicos” pero cumplió sus órdenes en el Pacífico y más tarde en Europa. Antes de entrar en la Segunda Guerra Mundial, dijo: “Sus muchachos no serán enviados a guerras en el extranjero”, hasta que los intereses imperialistas de Estados Unidos sean desafiados. ¿Cómo ganó la clase trabajadora las concesiones de la administración Roosevelt? El New Deal no fue un regalo otorgado desde arriba. Se ganó a partir de manifestaciones de los desempleados en las principales ciudades; marchas de hambre; huelgas generales municipales en San Francisco, Minneapolis y Toledo en 1936; las huelgas de brazos caídos en Akron y Cleveland, que culminaron en la huelga de brazos caídos de Flint ese mismo año, lo que condujo a la organización de United Auto Workers, el Congreso de Organizaciones Industriales y la organización masiva de la clase obrera industrial. Esta fue la fuerza que condujo a la Administración de Progreso del Trabajo, la Seguridad Social, el seguro de desempleo, el derecho de huelga y de organizar sindicatos, y muchas otras ganancias asociadas con el New Deal. Lo mismo es cierto para la Ley de Derechos Civiles, el Acta de Derechos de Voto y otras ventajas legislativas, incluida la decisión Roe v. Wade del Tribunal Supremo y las que confirman los derechos de lesbianas y homosexuales. Fueron ganados primero en las calles del sangriento Sur y luego por rebeliones masivas y marchas en las ciudades del norte. Los socialistas que tratan de obtener ganancias al afianzarse en el sistema electoral y el Partido Demócrata necesitan saber que los grandes pasos hacia adelante han venido de la lucha de clases: la organización militante de los trabajadores y las rebeliones de las comunidades oprimidas. A la larga, solo la lucha de masas puede traer progreso social, y solo la revolución puede traer el socialismo. By Fred Goldstein posted on September 1, 2018. This is the 50th anniversary of the massive street struggles in 1968 during the Democratic National Convention. We reprint here an article by Fred Goldstein from the Workers World of Sept. 13, 1968. The violence openly inflicted on liberals and radicals alike at the Chicago Democratic Convention confirms that the U.S. ruling class is entering a new phase in which their reliance upon deception is to be increasingly abandoned in favor of the use of force. The use of violence against the white population (after centuries against the Black) is part of the preparations for stepped-up attacks on the oppressed people around the globe. All attempts to place the responsibility on the insignificant hired thug of the bosses, [Chicago] Mayor Richard Daley, are calculated to mask this fundamental shift. Thousands of U.S. troops, tanks, jeeps, and all the other necessities of combat cannot be shifted around the country at the cost of creating great political unrest (to say nothing of the expense) on the say-so of such a relatively low-ranking political stooge as Daley. Nor can National Guard troops be called upon by a mayor. For that matter, the Chicago Police Department would never dare to “mar the image” of the entire Democratic Party unless it had received explicit orders from the party hierarchy to crack heads. The White House, the Pentagon, the Democratic National Committee and the entire capitalist establishment were all involved in the Chicago operation. In short, Mayor Daley was working for the ruling class and not they for him, as the bourgeois news media imply when they either condemn or condone “Daley’s handling” of the fascist attack on anti-war protesters in Chicago. Of course, the billionaires did not shift from fraud to force arbitrarily. It’s just that their bag of tricks is just about empty and their two war candidates are about equally discredited. The rulers who rigged the convention long in advance knew that McCarthy was to be discarded in Chicago. And they also knew that thousands of youth whom the McCarthy campaign had kept off the streets would be back on the streets, together with thousands of radical youth who had never fallen for the imperialist-liberal McCarthy in the first place. So the bosses prepared well ahead of time to deal with the anger and indignation which was as inevitable as the Humphrey-Nixon race. They decided to give the white youth a taste of the treatment hitherto reserved for the Black liberation struggle. But an important by-product of Chicago is the wave of revulsion of new layers of youth for a parliamentary system which has to defend its candidates from the hatred of the population with bayonets and clubs. Parliamentary illusions went up with the clouds of tear gas as the war party at the amphitheater steam-rolled over popular anti-war sentiment. The flow of blood from the heads of unarmed demonstrators in front of the Conrad Hilton made many a convert to the revolutionary struggle. The bourgeoisie used strong-arm methods to brush the liberals aside and thus demonstrated the fraudulence and the futility of imperialist democracy. If the liberal politicians folded up at the first show of force by the ruling class, the militant youth did not. While McCarthy crept off to the sidelines and McGovern stepped into Humphrey’s fold, the fighting young people who really want and need to end imperialist wars were spontaneously fighting back against the cops. New and militant tactics were being developed simultaneously with the beginnings of change in their ideology. Several hundred police, who tried to attack a Grant Park rally after someone lowered the U.S. flag, were literally driven away by the youth in the crowd. The cops were hit with everything that could be thrown and then surrounded by barricades of benches and immobilized before they withdrew in defeat. Mobile street demonstrations were carried out, during which obstacles were strewn about to slow down police cars. Youth at Lincoln Park built such sturdy barricades to keep from being driven from the park that police had to saturate the area with tear gas many times in order to drive them out. Occasional aggressive forays were made by small bands of youth in search of isolated police on foot or in patrol cars. In general, however, the brutality of the police produced spontaneous retaliation wherever possible. Many so-called leftists frown upon these new tactics as “adventuristic” and inadequate to defeat such a heavily armed force as the police. But those who are serious about leading a revolutionary struggle against imperialism must take a carefully constructive attitude towards the initial bursts of revolutionary energy shown by the young people in Chicago. Opponents of imperialism will try to assist the militants to improve their tactics, not throw cold water on them. In general, the Chicago events have shown that the capitalists will always resort to force if popular will stands in the way of their imperialist objectives. These events have confirmed the Marxist analysis of the state. This resort to violence on the eve of new imperialist crises has pointed out to thousands of young people that revolutionary resistance to boss rule is the only way to stop wars of aggression. These are the lessons of Chicago. All the indictments, plea bargaining, immunities, exposures, etc., amount to this: The anti-Trump forces in the ruling class are doing a dance with Trump. Donald Trump has suffered a series of blows from the anti-Trump forces in the ruling class and the legal establishment. This has undoubtedly encouraged progressive and revolutionary forces who rightfully want to see this reactionary, authoritarian, racist, misogynist Trump go down. Recent events have pummeled Trump. His campaign manager, Paul Manafort, was convicted at trial of eight criminal counts of fraud and tax evasion. His long-time lawyer and “fixer,” Michael Cohen, pled guilty and pointed the finger at Trump for campaign law violations. These developments came on the same day. The following day it was revealed that the CEO of the National Enquirer, David Pecker, who operates a pro-Trump scandal sheet, had been granted immunity to talk about how he worked with Michael Cohen to suppress stories critical of Trump by buying and then not publishing them. Twenty-four hours later it was revealed that the CFO of the Trump Organization, Allen Weisselberg, was also given immunity to testify. Weisselberg has been in charge of Trump Organization finances dating back to the days of Trump’s racist, pro-Nazi father, Fred Trump. The latest move to cancel Pompeo’s trip to the DPRK is the ruling class’s answer to Trump’s attempt to realign U.S. foreign policy on the Korean peninsula. Finally signing a peace treaty with the DPRK — for a war that ended in a stalemate 65 years ago — is a condition for moving forward. The entire military and political establishment is opposed to this and finally won out, even as Trump was being weakened in court. The ruling class has laid down the line on the essentials. They can live with Trump’s fascist atrocities on the borders, separating immigrant families. They can shrug off his support for police brutality and murder in the Black and Latinx communities. They can live with his racist slurs against Africa and Haiti. But when it comes to basics, aggression toward Russia and opening up peaceful relations in Korea, Wall Street and the Pentagon draw a sharp line. It must be noted that these developments have been accompanied by a concerted effort to bury any incipient movement for impeachment, which has been quickened by Trump’s legal setbacks. Right now, the ruling class is wary of stoking an impeachment movement. There are at least two reasons. First, they are making tons of money in profit from the Trump tax cuts and deregulation. The entire trillion-dollar tax cut directly reduces corporate expenses and goes straight to the corporate bottom line. Profits have been shooting up for two quarters. No boss or banker wants to rock that boat. Second, they are afraid of provoking a right-wing rebellion from Trump’s base. They listen to Trump rallies, which continue on just as they were during the campaign, despite all the revelations about what a low-life racist, misogynist, bigoted crook Trump is. The bourgeoisie is always collaborative, conciliatory or cowardly in the face of the right wing — and this is a lesson the working class must always remember. All the indictments, plea bargaining, immunities, exposures, etc., amount to this: The anti-Trump forces in the ruling class are doing a dance with Trump. Right now the ruling class is trying to weaken him primarily with legal and publicity attacks. This may change under future circumstances, for instance, if the trade war with China gets out of control or some other catastrophic development threatens their capitalist interests. But, ultimately, they hope to remove him through the 2020 election process. The best case political scenario for the anti-Trump forces in the ruling class is for the Democrats to win the majority in the House of Representatives. This will give them the power to call hearings, bring witnesses, subpoena testimony and documents, and wage a public relations war against Trump, while leaving the question of impeachment open. At the present time the masses are faced with three practical alternatives to removing Trump: indictment, impeachment or elections. All three are ruling-class solutions in arenas dominated by capital. The radical and revolutionary left were definitely growing, even before Trump got in. But given the present-day relationship of political forces, and given the relative numerical weakness of the revolutionary and radical left, these ruling-class solutions are the only paths to actually removing Trump at the moment. However, there are many ways to fight Trump and Trumpism on the ground, such as bringing down racist symbols, fighting to abolish Immigration and Customs Enforcement, putting immigrant detention centers under siege, supporting the present prisoners’ strike, fighting police brutality, defending Native land rights, demanding women’s right to reproductive justice and LGBTQ rights, demonstrating against the war drive, etc. All of these are righteous struggles that can be directly related to the struggle against Trump. They can and must be waged. Propaganda and agitation against the Trump reaction are other important avenues to be used, especially as the bourgeois elections get closer. This is a time when the masses are open to listening to politics. The real left, the revolutionary anti-capitalist left, may not be decisive in the electoral arena, given the current relationship of forces. Some social democrats, however, are running as Democratic Party candidates. It may be that the role of the left will be best carried out by a campaign of demonstrations and propaganda. In some states, or more likely local contests, revolutionary forces may be able to participate in elections on a revolutionary basis for propaganda purposes as well as for gaining representation. Propaganda and agitation during the current campaign have to be sensitively crafted. They must bear in mind the anti-Trump sentiments of the undocumented who have suffered fascist-like measures on the borders, including the separation of families from their children. These fascist-like measures are not restricted to the borders, but are carried out by ICE in immigrant communities and at workplaces across the country. This propaganda must bear in mind the anger in the cities and Black communities all over the country against the police and Trump’s open support for police brutality and Confederate racism. It must acknowledge that there are close to a million DACA (Deferred Action for Childhood Arrivals) recipients who have the threat of deportation hanging over their heads. In addition, hundreds of thousands, including Haitians, Hondurans, Salvadorans, Nicaraguans and others whose Temporary Protected Status has been lifted, are awaiting deportation. Bearing all this in mind, anti-capitalist, pro-socialist propaganda can be fashioned which not only condemns Trump, but also shows that salvation does not lie in the Democratic Party, a party whose leadership is inextricably tied to corporate and military interests. There is much discussion and publicity about the growing popularity of the term “socialism.” Since the campaign of Bernie Sanders in 2016, the term has become respectable, particularly as capitalism decays and brings suffering and gross inequality to the masses. The term “socialist” got a further boost when Alexandria Ocasio-Cortez, a Puerto Rican activist, a Sanders ally and a member of the Democratic Socialists of America, won a primary against an entrenched Democratic Party hack, Joe Crowley, who was in line to be named Speaker of the House after Nancy Pelosi. Ocasio-Cortez will represent a district that spans the Bronx and Queens. While her primary victory has inspired a great deal of enthusiasm among progressives, it has also bred illusions among many young people, especially on the left, that they are on the road to taking over the Democratic Party and bringing forward a program of wiping out inequality, winning universal health care, affordable housing, even government ownership of industries, etc. These illusions must be dealt with by Marxist arguments, and should not be contemptuously dismissed. For example, the most progressive president of the 20th century, Franklin Roosevelt, put down the independence movement in Puerto Rico in the Ponce Massacre of 1934. Roosevelt took U.S. imperialism into World War II, not initially against the Nazis but against Japanese imperialism, and justified the internment of Japanese people in the U.S. While Roosevelt is well remembered now for the New Deal, which granted some rights to the impoverished working class at the time, in preparation for war Roosevelt broke an aircraft strike on the West Coast, made alliances with southern Dixiecrats, allowed segregation to remain in place, including in the military, etc. And this was the most progressive Democratic Party president ever! He raged against “economic royalists” but did their bidding in the Pacific and later on in Europe. Before entering World War II, he said “Your boys are not going to be sent into any foreign wars” — until U.S. imperialist interests were challenged. How did the working class win concessions from the Roosevelt administration? The New Deal was not a gift granted from above. It was won beginning with demonstrations of the unemployed in major cities; hunger marches; municipal general strikes in San Francisco, Minneapolis and Toledo in 1936; the sit-down strikes in Akron and Cleveland, culminating in the Flint sit-down strike the same year, which led to the organization of the United Auto Workers, the Congress of Industrial Organizations and the mass organization of the industrial working class. This was the force that led to the Works Progress Administration, Social Security, unemployment insurance, the right to strike and to organize unions, and many other gains associated with the New Deal. The same is true for the Civil Rights Act, the Voting Rights Act and other legislative gains, including the Supreme Court’s Roe v. Wade decision and those confirming lesbian and gay rights. They were won first in the streets in the bloody South and then by massive rebellions and marches in northern cities. Socialists trying to make gains by getting a foothold in the electoral system and the Democratic Party need to know that the great steps forward have come from the class struggle — the militant organization of the workers and the rebellions of oppressed communities. In the long run, only the mass struggle can bring social progress, and only revolution can bring socialism.